Cast astray on a sun-kissed rock 200 yards from safety, Blake Lively’s daring surfer learns how to become self-reliant in the final trailer for Sony Pictures’ low-key horror-thriller, The Shallows. It’s nothing we haven’t seen before; an adventurous lead (Lively, in this instance) that faces a battle against mother nature when a great white shark darts from the depths to the shallows in search of a light snack. But the way in which Sony has presented today’s sizzle reel, one oozing with atmosphere and tension, is pretty remarkable given that, to date, the maritime thriller has failed to garner much buzz. Plus, channeling the less-is-more spirit of Jaws, we don’t clock eyes on the marauding great white until towards the end of the trailer, emerging from the deep blue as one big, ominous shadow. It’s enough to evoke a primal fear in just about anyone with a passing fear of swimming, and hoping to drive that point home later this month is director Jaume Collet-Serra. That’s the creative mind behind Liam Neeson action trio Non-Stop, Run All Night and Unknown, and he’ll soon reunite with the Northern Irishman for The Commuter. 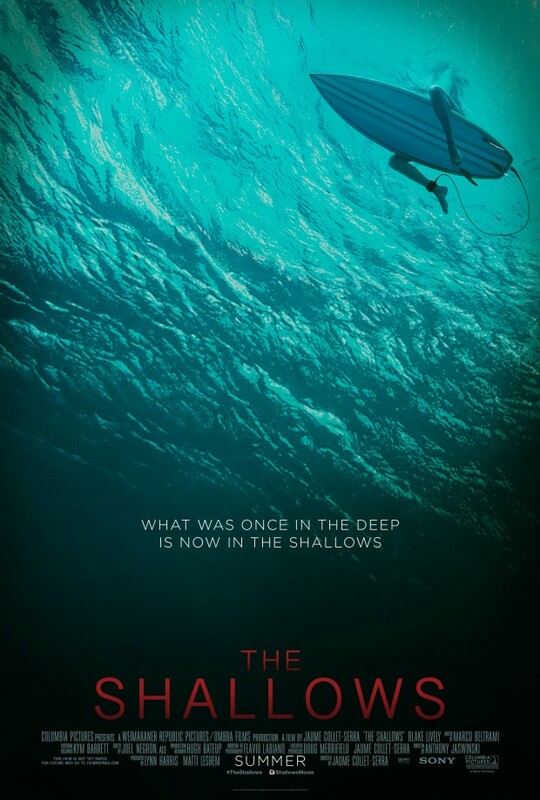 Just when you thought it was safe to go back in the water, Sony Pictures is prepping The Shallows for debut on June 29.